06.00 – 08.00 Pick-up from hotel and transfer to BaanNam Kem Pier. 09.00 Depart for the Surin Islands from Baan Nam Kem pier. 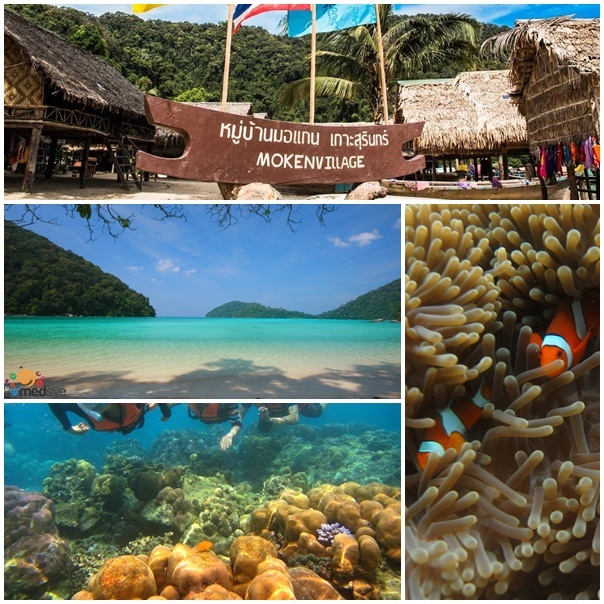 snorkeling areas in Surin Island. relaxing on the beach as you like. Have Lunch at Ao Chong Kard Surin information center. 15.15 Depart from paradise to NamKhem Pier. Trip Includes: Round- trip transfer from hotel to pier, Round-trip speed boat, National park admission fee, Lunch and drink, Snorkeling equipment and Accident Travel Insurance.